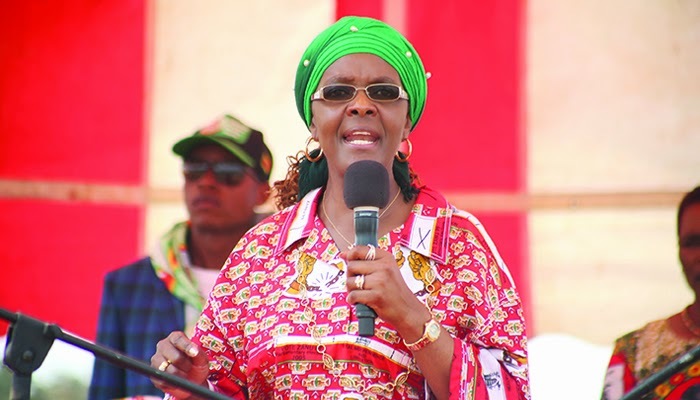 Throughout the past fortnight, commentators and analysts have proffered opinions on the motivations for Grace Mugabe’s public attacks on Vice President Joice Mujuru. 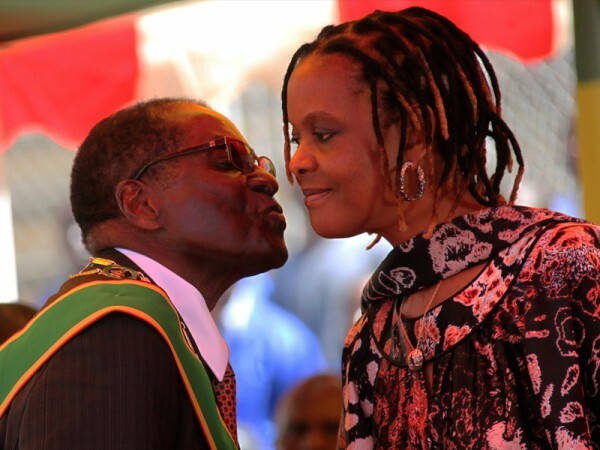 President Mugabe kisses his wife Grace Mugabe. The First Lady used to be Mugabe’s ‘Small House’ before they married. From the onset, the purpose of her rallies was confused as reflected by the failure to ascribe a name to them. At times referred to as “meet the people” or “thank you” rallies, the meetings were anything but interactional or occasions for expression of gratitude. It later emerged that the purpose was sinister. The sole objective was to bring Mujuru down. Of all the reasons advanced for this mission, the most plausible seems to be Grace’s intention to protect her future interests —post-Mugabe. Her rallies have encapsulated a hotchpotch of themes. Of the gatherings, her meeting with war veterans last week was most revealing.  Stripped of all the piousness about factionalism, corruption and incompetence, it became clear that the real reason for wanting to bring Mujuru down is a personal vendetta. Before the war veterans, Grace took almost full credit for the rise of Mujuru to vice presidency after rival Emmerson Mnangangwa was persuaded to step aside about 10 years ago. On no less than four occasions, Grace referred to this, saying her motivation was gender parity in the higher echelons of power. Grace may not be the stellar student; however, she does not need a PhD to know her future after Mugabe’s controversial legacy might not be rosy. It would seem that Grace’s backing of Mujuru might not have been motivated, at least not entirely, by gender equality after all but personal and strategic interests. Grace would have wanted to elevate a candidate who would not only succeed Mugabe but return the favour by protecting her future interests — post-Mugabe. Mujuru, as president, would forever be indebted to Grace and thus protect her interests. Over the years, Grace probably realised she had made the wrong move. Over time, the rumour or “gossip” mill of the Oppah Muchinguri-led Women’s League seemed to have played a part as the conduit for information to Grace. Grace concluded that Mujuru — the person she claims to have elevated and a possible presidential successor — would not be the one to protect her future interests and those of her family after Mugabe. In a previous rally, she made reference to the attempted seizure of a mine belonging to her son from the previous marriage, which she seemed to blame on Mujuru. She also said her enemies — probably another veiled reference to Mujuru then — wanted to drag her “on the tarmac” and seize her properties after Mugabe’s departure. Grace’s reaction to Mujuru’s only visit to her orphanage was particularly telling. Mujuru, according to Grace, only visited briefly saying she was in a rush to meet her PhD supervisor. “I cried that day, I cried ,” Grace repeated. To Grace, Mujuru was not as subservient to her benefactor. When an opportunity to retaliate came, Grace seized it. It is now not very clear whether Muchinguri voluntarily relinquished her post as Women’s League chairperson or was persuaded to do so. But the mere nomination to Women’s League chairmanship provided Grace with a legitimate political platform to launch vengeful attacks on Mujuru. Grace stated, in no uncertain terms, that since she had elevated Mujuru she should not be criticised for now bringing her down. To be balanced, Grace’s allegations against Mujuru might be true; they might not. What has been absent is evidence. Allegations of corruption, incompetence and factionalism can be levelled against many Zanu PF officials and ministers, not least Mnangagwa. Beneath Grace’s sanctimonious rhetoric, it would seem, is a sense of betrayal by a person she thought she could manipulate to protect her in the future. The idea that she is being “used” may be misplaced. She has emerged to push for someone who will protect her own interests. In her mind now, that person is Mnangagwa.